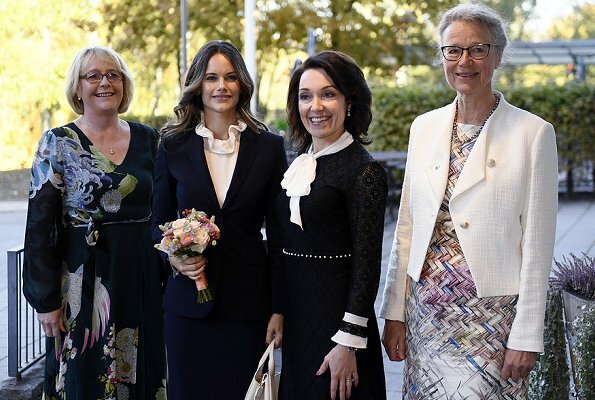 On October 4, 2018, Swedish Princess Sofia visited Karolinska Hospital in Solna. 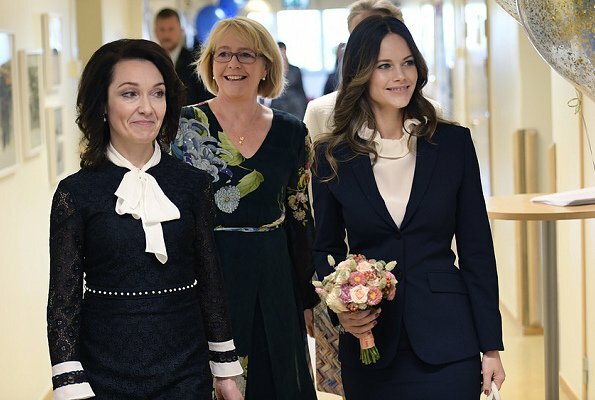 When the Princess arrived at the hospital, she was welcomed by Hospital Director Annika Tibell, Finance Commissioner Irene Svenonius and Research Director Miia Kivipelto. 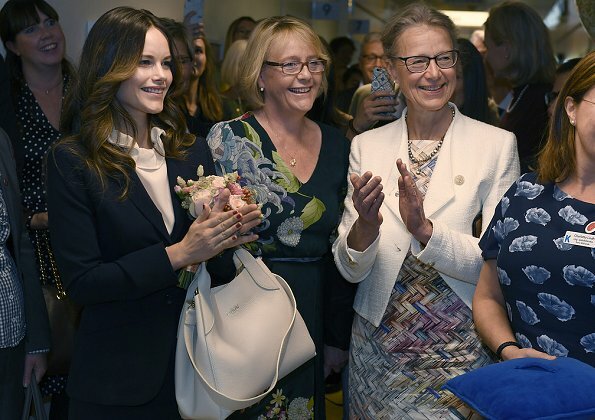 Then, Princess Sofia attended opening of the new cognitive ward of Karolinska Hospital. Karolinska Hospital is one of the largest University Hospitals in Europe. Pss Sofia's look today is great. I love suits very professional.She always keeps eye conduct with the person she speaks with. She is in great form after two children. Perfect,classic outfit. I don 't care that it 's maybe too plain and boring.She looks fabulous. Gorgeous navy suit--classic and professional look for her. Wonderful fit and clean lines. She really looks good after two children so close together. Well done!!! Sofia looks terrific - such a beautiful face with a beautiful smile. She always looks relaxed and happy. Great outfit too with a nice neckline. Not often that I like ruffles. High necklines seem to be en vogue. Agree, she looks relaxed and the outfit is very nice. What am attractive, dignified look for Sofia -- business-like, but with a feminine touch in the ruffled collar. Great choice. Agree! She looks very good. mooie tailleur, dat is chique. Everything is perfect in her look but I think its time for a new hair cut. Wonderful outfit on Princess Sofia!